A company that takes this much care and dedicates so much attention to the maintenance of their fleet is easily trusted. 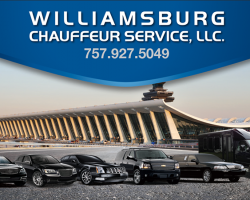 Not only does Williamsburg Chauffeur Service ensure their vehicles are the best in Virginia, but also updates their vehicles with the latest luxuries and technology. 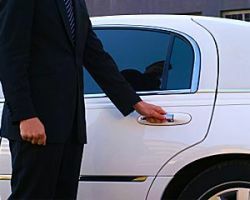 Whether you choose to utilize their special business airport transportation or are looking for an extra special stretch limo for your wedding day, then the professionals at Williamsburg Chauffeur Service are there to help. 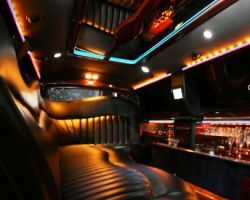 While many limo services in Virginia Beach will try to provide sleek but characterless vehicles for their clients, this is certainly not what Virginia Beach Executive Limousine does. They know that riding in one of their limos is an opportunity to feel exactly like a rock star or a celebrity. Their packages reflect this and each one makes their client feel like the star of the show. For a wedding you couldn’t ask for more than this VIP treatment that comes complete with some of the best chauffeurs in the business. As the only limo service in Virginia Beach that focuses solely on their clients riding in style, you know you are in the best hands with B&L Limos. Billy Stephens and Lorenzo Florez, who give their names to the company, are completely dedicated to making sure each journey meets their high expectations. For your wedding there is no better choice than a company that always strives to be perfect. Not only is their service top notch but they have some of the most affordable prices around. 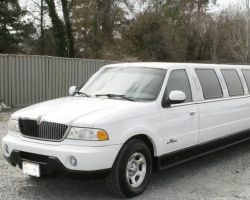 Wedding day transportation or prom limos shouldn’t be left in the hands of amateurs. All Occasions Limousine Service has been in business for over twenty years and as their name suggests they have handled every type of occasion there is. While this high level of service is not cheap, their fair prices certainly reflect what you will receive. 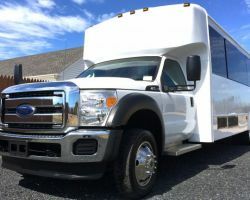 With some of the most contemporary vehicles that are decked out with every luxury imaginable, you will certainly be travelling with the most qualified experts in limo rentals in Virginia Beach, VA.
With a quick and easy quote system you will find your dream limousine in the blink of an eye. J&J Limo Service has an extensive range of beautiful vehicles. They can accommodate any of your needs, whether you are looking for a classic town car or for a more extravagant stretch limo. With their fully staffed dispatch team they are on call for any of your limo needs. Their chauffeurs are equally as dedicated to providing you with reliable and exceptional transportation for your special occasion. 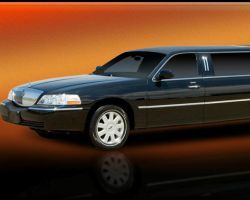 The only way to travel to a special occasion is in one of the premier limo services in Virginia Beach. When searching for the perfect ride, DM Limo is the answer to all of your dreams. No matter the need, they can meet it with their elite fleet of luxury vehicles. 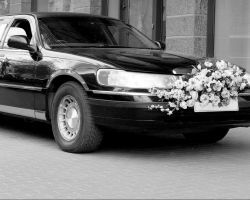 They can provide transport for: bachelor or bachelorette parties, business trips, nights out on the town, bar hopping, long distance trips, airport transportation and of course lavish wedding rides. Very few limo companies can truly appreciate just how special a wedding day is to their customers. They make a huge number of promises that are over the top. At Premier Limousine they have honed their service to provide exactly what couples need: reliability, impeccable customer service and affordable rates. You can see their extensive fleet and choose the vehicle that fits the style of your wedding. After this it is as simple as being collected on the day, sitting back, relaxing and enjoying the ride. 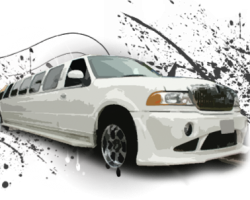 You couldn’t ask for more than a prompt and professional Virginia Beach limo service. Amongst other great aspects, VIP Style Limousines LLC guarantees this level of service every single time. This company truly cares about every journey being unique and personalized to each client. That is why they will not only provide appropriate vehicles but also decorate them to match the style of your event. Whether you need a party bus for a night out or an elegant stretch limo for your wedding day you will definitely receive the VIP experience.